We welcome you to stop in and visit our gift shop. We are located at 112 West Fourth Street, Minster, Ohio 45865. You can also reach us at (419) 628-4600. Our gift shop items are listed below. Video #1 was first made by the Midmark Corp. for its premer at Oktoberfest as a slide show. 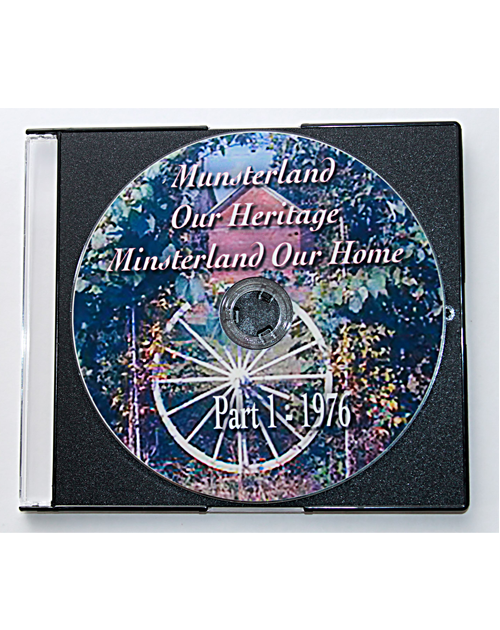 We have transferred it into a video and it contains the early history of our ancestors in Germany, their arrival in Stallostown, and the early years of the town’s formation. Continuing our history from it’s early formation until 1960’s. Also digitally re-mastered. 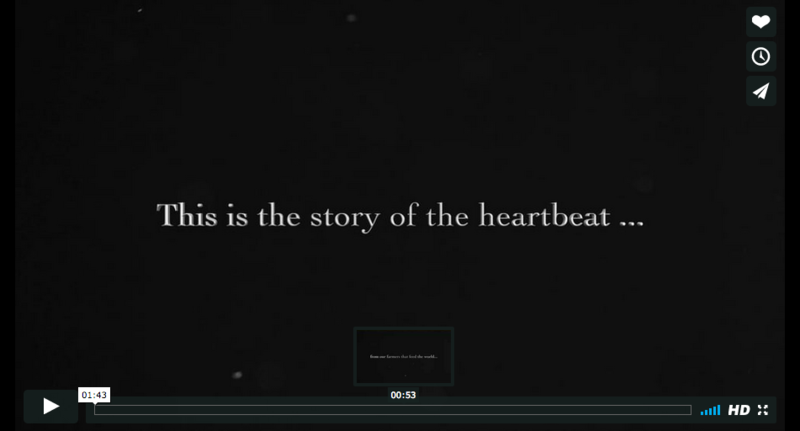 Our latest video contains the history of our town from 1975 – 2016. 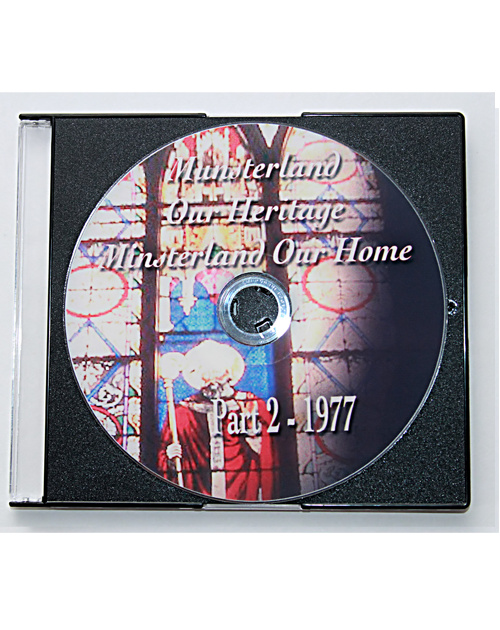 With new technology at hand you can see Minster in a whole new way! 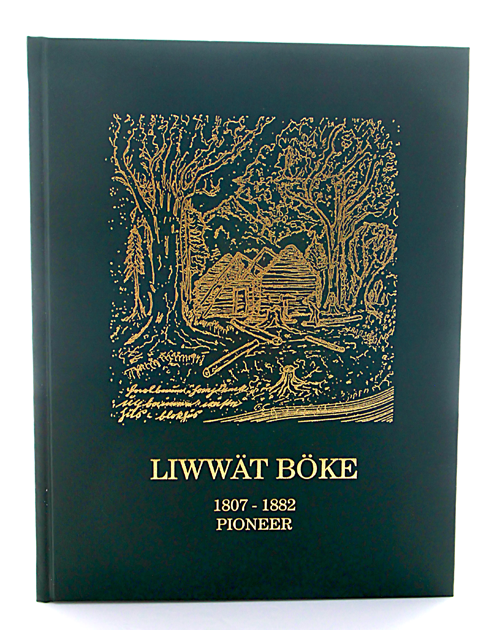 This book is from the journal of Liwwit Boke who was an immigrant from Germany and settled in this area in the 1830’s. It took many years of translation to compile her stories and accounts along with the beautiful drawings of what life was like back in the day. 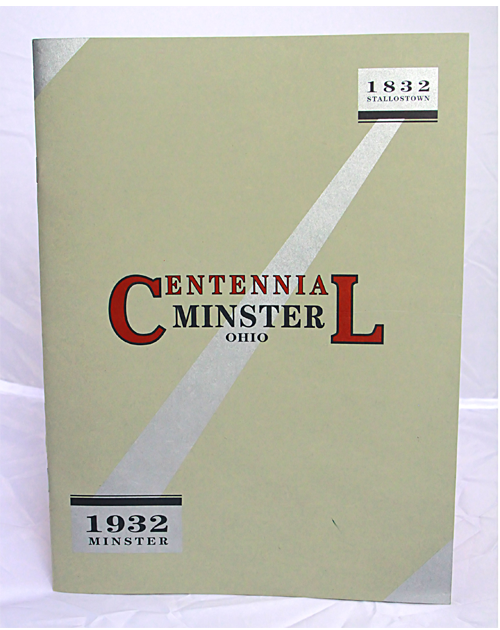 This book contains the earliest history of Minster. 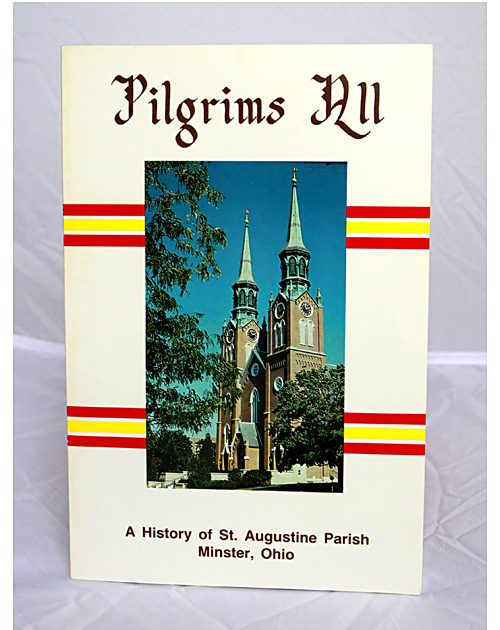 This book contains the in depth history of St. Augustine Church along with many other aspects of Minster’s history. Authors: Louis, Rita and David Hoying. 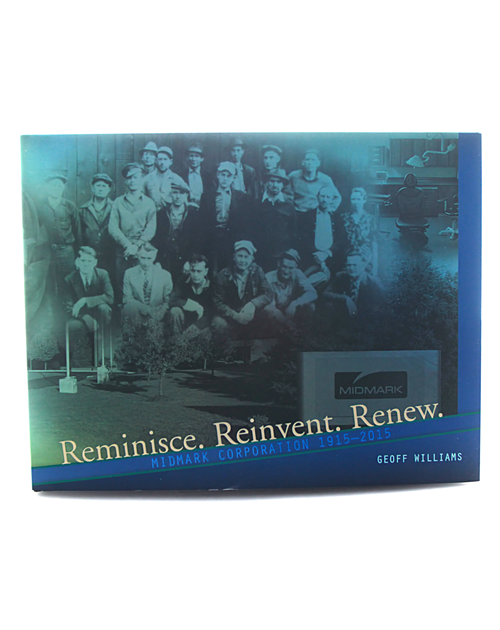 This is a history of Midmark, which began in Minster. This book was compiled in 2009 with recipies from the best cooks in town. It starts with a collection of old German favorites. 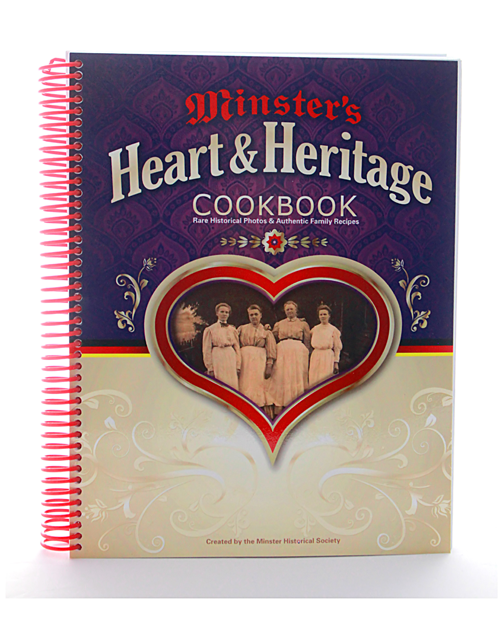 Each chapter: salad, snacks, breads, deserts, main courses, contains historical facts and many photos of the community. 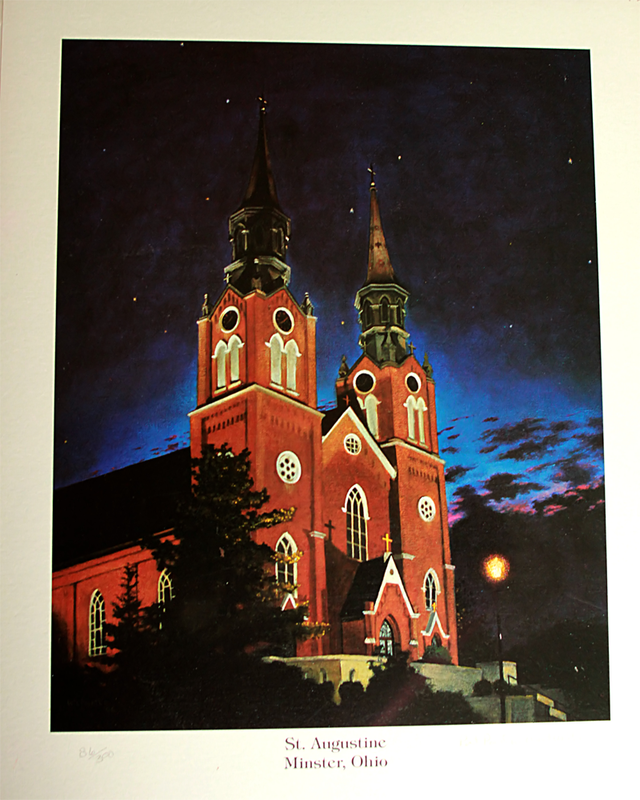 Adopted in 1982 for our Sesquicentennial celebration. 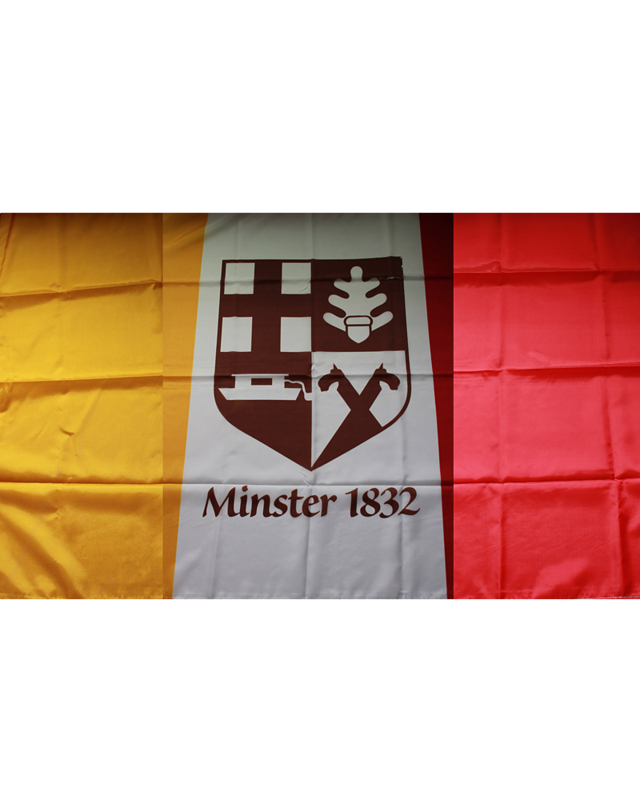 It contains our heritage crest with a background of red, yellow and brown. Always display it with pride! Circa 1901 – A lighted ceramic replica of Minster’s oldest standing school on the corner of Lincoln and Fifth Streets. Thousands of students entered its doors for 100 years. Ceramic with a wood base.